I recently watched a visual parable that demonstrates the role of the Holy Spirit in Evangelism. While the acting was OK, and the lighting a little off, the central storyline is a great one. What I liked about it was the way it shows how the Holy Spirit prepares the way for surrendering your life to Jesus. I still remember the scene after he cheats the pastor, and then the pastor prays for him. The pastor was simply blessing him, but the Holy Spirit was convicting him, revealing the dishonesty in his own heart. A series of events follows that show how this man is prepared by the Holy Spirit to offer himself to the Lord in surrender. One never knows how your words will affect the eternity of another person. Read Take the Risk, Offer to Pray. 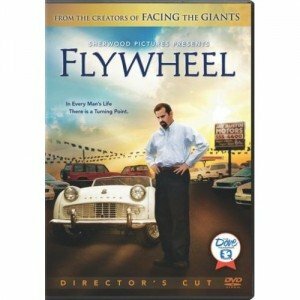 Order your copy of Flywheel.